Minister of Regional Affairs Jaan Õunapuu answered the question of Katrin Saks about regional policy, the question of Helir-Valdor Seeder about the administrative reform, the question of Jarno Laur about the appointment of county governors and the question of Helle Kalda about the negotiations between the Government and the Local Government Associations Co-operation Assembly. Minister of Agriculture Ester Tuiksoo answered the question of Arnold Kimber about the surplus stocks and the question of Jüri Tamm about the budget of the year 2005. Minister Paul-Eerik Rummo answered the question of Mailis Reps about the integration programme and the question of Mihhail Stalnuhhin about grants to the projects concerning the societies of national culture in Ida-Virumaa. 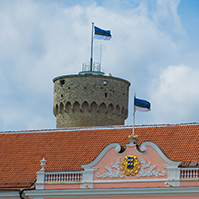 The Riigikogu passed with 61 votes in favour the Chemicals Act and State Fees Act Amendment Act (370 SE), initiated by the Government of the Republic. The Act brings the legal acts regulating the field of chemicals safety into conformity with the Law of the European Union, to ensure free and safe movement of chemicals as goods between the states. The State Fees Act Amendment Act ensures the receipt of funds to the state budget for the acts connected with chemicals subject to notification and ensures that the performance of relevant acts will not become more expensive than the value of the acts. The Medical Devices Act (336 SE), initiated by the Government of the Republic, was passed with 62 votes in favour (1 vote against). For better protection of the population?s health, the Act stipulates the requirements for medical devices and for their professional users, also for the manufacture, admission to the market and entry into service of medical devices. The Bill on Amendments to the Law of Obligations Act (429 SE), initiated by the Government of the Republic. The State Budget of the Year 2005 Bill (453 SE), initiated by the Government of the Republic. The next year?s budget volume is EEK 53 billion. The revenue and expenditure are balanced in the budget. Minister of Finance Taavi Veskimägi made a report and the next year?s budget ?a budget of the working people?, he also stressed that the working people and the process of working are in the focus of the budget and they are much more valued than earlier. Chairman of the Finance Committee Andres Lipstok made a report in which gave a survey of the deliberations in the Committee and informed of the Committee?s decision to conclude the first reading. The representative of the Centre Party Faction Vilja Savisaar, who took the floor during the deliberation, did not support the conclusion of the first reading and moved to reject the Bill. The same motion was made by the representative of the Social Democratic Party Faction Ivari Padar. The representative of the Isamaaliit Faction Helir-Valdor Seeder also voiced severe criticism against the budget. The representative of the Union for the Republic ? Res Publica Faction Andres Jalak, the representative of the Estonian Reform Party Faction Peep Aru and the representative of the Estonian People?s Party Faction Jaanus Männik supported the budget. The motion for the rejection of the Bill was put to a vote. The result of voting is the following: 28 votes in favour, 50 against. The Bill remained in the legislative proceeding. The term for submission of motions to amend to the Finance Committee is 21 October, 18.00. The Bill on Amendments to the Alcohol, Tobacco and Fuel Excise Duty Act and Associated Acts (450 SE), initiated by the Government of the Republic. 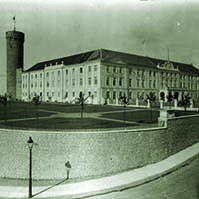 On the motion of the Estonian Centre Party Faction the motion to reject the Bill was put to the vote. The results of voting: 16 votes in favour, 47 against. The motion was not supported. The Bill remained in the legislative proceeding. The Bill on Amendments to the Gambling Tax Act (451 SE), initiated by the Government of the Republic. The Bill on Amendments to the Social Welfare Act, Social Benefits for Disabled Persons Act, Unemployed Persons Social Protection Act, Health Insurance Act, State Pension Insurance Act, Social Tax Act and Income Tax Act (439 SE), initiated by the Government of the Republic. 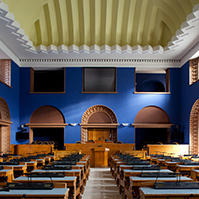 On the motion of the Social Democratic Party Faction and the Estonian Centre Party Faction the motion to reject the Bill was put to the vote. The results of voting: 19 votes in favour, 37 against. The motion was not supported. The Bill remained in the legislative proceeding. The Bill on Amendments to the Occupational Health and Safety Act and the Working and Rest Time Act (440 SE), initiated by the Government of the Republic. The Bill on the Accession to the Convention drawn up on the basis of Article K.3 of the Treaty on European Union, relating to Extradition between the Member States of the European Union (399 SE), initiated by the Government of the Republic. The Bill on the Accession to the Convention drawn up on the basis of Article K.3 of the Treaty on European Union, on Simplified Extradition Procedure between the Member States of the European Union (401 SE), initiated by the Government of the Republic. The Bill on the Accession to the Convention drawn up on the basis of Article K.3 of the Treaty on European Union, on the Protection of the European Communities? Financial Interests, to the Protocol to the Convention on the Protection of the European Communities? Financial Interests and to the Second Protocol drawn up on the basis of Article K.3 of the Treaty on European Union of the Convention on the Protection of the European Communities? Financial Interests (406 SE), initiated by the Government of the Republic. The Bill on the Accession to the Convention drawn up on the basis of Article K.3, (2)(c) of the Treaty on European Union on the Fight against Corruption involving Officials of the European Communities or Officials of the Member States of the European Union (416 SE), initiated by the Government of the Republic. The Draft Resolution of the Riigikogu The Principles of Regulation of the Activities of Electric Monopoly (391 OE), initiated by the Estonian Centre Party Faction, Estonian People?s Union Faction, Isamaaliit Faction and Social Democratic Party Faction. The result of voting on the passage of the resolution: 40 votes in favour, 41 against. The Bill was withdrawn from legislative proceeding. 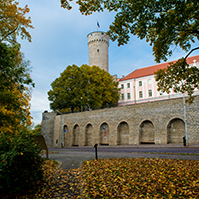 The Bill on Amendments to the Traffic Act (410 SE), initiated by Members of the Riigikogu Peeter Kreitzberg, Olev Laanjärv, Robert Lepikson, Jaanus Marrandi, Sven Mikser, Mark Soosaar, Liina Tõnisson and Harri Õunapuu. The result of voting on the rejection of the Bill: 36 votes in favour, 8 against. The Bill was withdrawn from legislative proceeding. 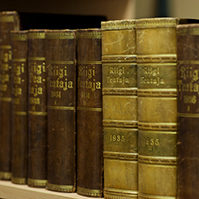 The Draft Resolution of the Riigikogu On Making a Proposal to the Government of the Republic to Initiate Bills (424 OE), submitted by the Isamaaliit Faction, Social Democratic Party Faction and Members of the Riigikogu Peeter Kreitzberg, Olev Laanjärv, Robert Lepikson, Jaanus Marrandi, Sven Mikser, Mark Soosaar, Liina Tõnisson and Harri Õunapuu. The result of voting on the passage of the resolution was the following: 35 votes in favour, 33 against. The resolution was not passed, because at least 51 votes in favour were required for the passage. 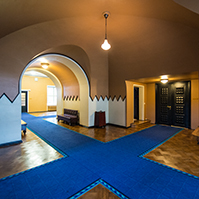 The Bill on Amendments to the Advertising Act (387 SE), initiated by Members of the Riigikogu Harri Õunapuu, Robert Lepikson, Sven Mikser, Jaanus Marrandi, Peeter Kreitzberg, Mark Soosaar, Liina Tõnisson and Olev Laanjärv. The result of voting on the rejection of the Bill was the following: 39 votes in favour, 23 against. The Bill was withdrawn from legislative proceeding. The Draft Resolution of the Riigikogu On the Formation of the Riigikogu Committee of Investigation for the Examination of the Implementation of the Resolution of the Riigikogu ?Accounts of the Estonian Banks Frozen in the Foreign Economy Bank of the USSR? (427 OE), submitted by the Isamaaliit Faction. The result of voting on the rejection of the Bill was the following: 46 votes in favour, 22 against. The Bill was withdrawn from legislative proceeding. The sitting ended at 10.18 p.m.